Your plumbing system can be a costly maintenance item each year. Understanding how to prevent some common plumbing problems can help you save money, time and headache. Plumbing is one house system that simply cannot be ignored. Here are a few of the most common plumbing problems. A toilet leak is a sneaky little problem that can often go unnoticed for months. The danger of this is that a leaky toilet will run up your water bill and cause water damage to floors and walls. Many times, a leaky toilet goes unnoticed because the leak is so close to the wall. Most people do not daily inspect the area behind their toilets. The water then has a chance to leak into the floor and behind the wall where it can set up mold and cause water damage. 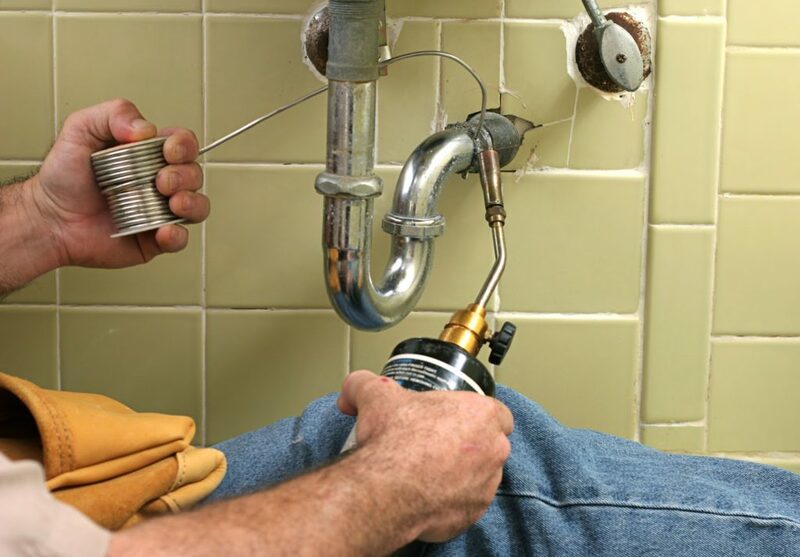 In many cases these types of leaks can be fixed by simply tightening the fittings that connect your toilet to your water source. Another type of leak you can experience with your toilet is an internal leak. An internal leak will not cause damage to your floors and walls, but it will cost you plenty of money as your water bill skyrockets. You can check for an internal leak by adding a little food coloring to your toilet tank at night. If the coloring shows up the next morning in the toilet bowl then you have a leak. This problem can easily be fixed by replacing your flush valve. This is probably the most common plumbing problem. A clogged drain can be very annoying. A clogged drain can usually be cleared using a wet/dry vacuum. Bathroom drains are usually backed up with hair and soap residue and make for an easy fix. Kitchen sink drains differ from bathroom sink drains in that different material is usually behind the clogs. In a kitchen you will have a lot of food items going down your sink. Grease is often the culprit behind clogged sink drains. It is a good practice to avoid putting grease down your kitchen sink drain. This practice alone can cause major septic tank issues over time. Grease should be discarded in a safe spot outdoors. You can clean out pipes by periodically flushing the pipes with boiling water. As a preventive measure, use a strainer in your sink to catch food items that could go down pipes and clog them later. You should familiarize yourself with your home’s main shut off valve. This is an important valve which can be used to shut off the main water supply to the house in the event of plumbing disaster. If you are experiencing a plumbing disaster, turn off the water supply immediately to avoid water damage to your home. In the event of major plumbing problems, there are garland plumbers that can help. Make sure that the rubber hoses which connect your washing machine to a water source are in good shape. When these items dry out and burst you can have a major plumbing issue in your home as water gushes. Don’t forget about these lines.